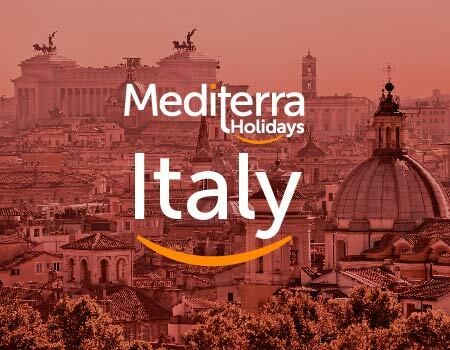 The purchase of any travel services offered by Mediterra Holidays constitutes a contractual arrangement between you and Mediterra Holidays, and represents your acceptance of the Mediterra Holidays’ Terms & Conditions as well as services offered and set out herein. Please ensure that you read carefully and understand these Terms & Conditions prior to booking. When you decide to book, we will e-mail the payment instructions to you. A deposit of 30% is required at the time of booking. We accept payments via wire transfer or credit card through our secure payment website. You can also pay the full payment at the time of booking. For reservations, which include hotels, cruises etc. requiring full prepayment at the time of booking, a different policy applies. Our agent will inform you accordingly for the payment and cancellation policy of your reservation. Payment conditions are subject to change for bookings with promotional rates and group arrangements. 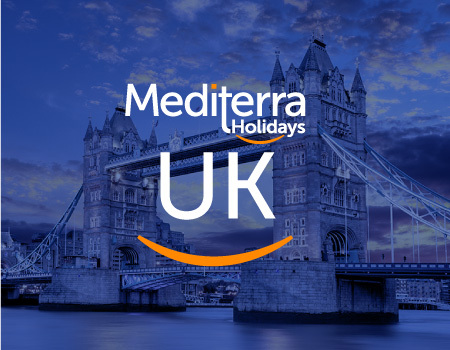 In case the balance payment is not received on due date, Mediterra Holidays reserves the right to cancel all confirmed services and apply the cancellation fee as mentioned in cancellation paragraph below. As soon as we receive deposit payment, we start securing reservations. We exercise best efforts to book services per the itinerary, however, in busy seasons and for client bookings made within 30 days of arrival date we may be forced to offer alternates of similar standard. After all reservations are secured, our guests receive a confirmed travel itinerary with all services noted along including our local destination management contact details. Upon arrival in destination, we deliver further documentation such as vouchers, tickets, transfer details and/or any other service information essential for program. As soon as a deposit payment is received; flight, train and ferry tickets are issued. Issued flight, train and ferry tickets are not included in the above cancellation policy. Once tickets are issued, any changes on the dates will incur a change fee or in case of cancellation a fee up to 100% will be incurred regardless of the above cancellation policy. Some hotels apply exceptional payment and cancellation conditions. In case your package includes a booking in this category, we will also calculate the cancellation fee considering the specific conditions of these hotels. In case of cancellation, the refund (if there is) will be calculated after deducting the cost of flight tickets cancellation fee + cancellation fee will be applied for the rest of the services depending on the remaining number of days prior to departure and specific conditions (if there is). If you prefer our Non-Refundable Pricing, full payment will be required at the time of booking and 100% cancellation fee will be applied in case of cancellation or change request. Valid passports are required for travel to most destinations. Check with the appropriate consulate or embassy for the latest visa requirements. Refunds are not made for any missed services, except for verifiable extenuating circumstances. Please see our Limits on Responsibility on this page. For verifiable claims to be considered, they must be received in writing within 30 days of the termination of the program and be accompanied by supporting documentation and/or a statement from the Operating Company verifying the claim. Any adjustment considered will be based on the actual price of the services involved and not on a per diem basis. Adjustments will not be made for unused sightseeing trips or meals. 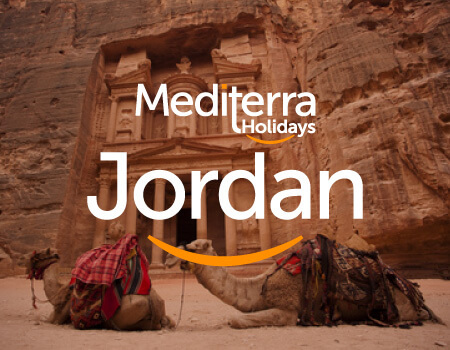 Mediterra Holidays will not accept any liability for any claims that are not received within 30 days of the termination of your travel program. All claims for days missed while traveling should be made in writing within 30 days of the termination of the program. 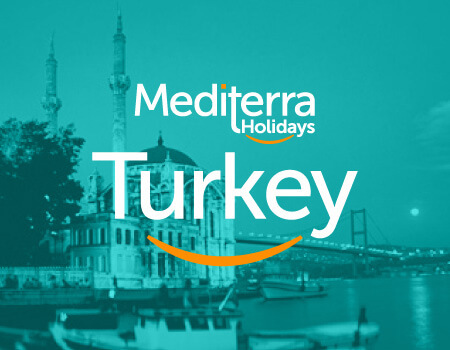 Mediterra Holidays, its employees, officers, directors, successors agents and any other person who is legally authorized by Mediterra Holidays, do not own or operate any entity which provides goods or services for your trip. It purchases transportation (by aircraft, coach, train, vessel or otherwise), hotel and other lodging accommodations, restaurant, ground handling and other services from various independent suppliers (including from time to time other affiliated Mediterra Holidays companies) on behalf of you. All such persons and entities are independent contractors, therefore Mediterra Holidays shall not be liable for any negligent or willful act or any other misrepresentation of any such person or entity or of any third person. 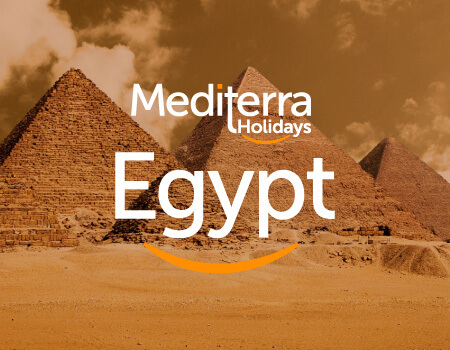 Mediterra Holidays, acts solely as agents for the client with respect to all transportation, hotel and other tour arrangements. In that capacity, Mediterra Holidays exercises all reasonable care possible to ensure the traveler’s safety and satisfaction, but, Mediterra Holidays neither assumes nor bears any responsibility or liability for any injury, death, damage, loss, accident, delay, or irregularity arising in connection with the services in terms of transportation including but not limited to any airplane, train, ship, automobile, motor coach, carriage, or other conveyance, or the actions of any third-party involved in transportation of the traveler or in affecting these tours. Mediterra Holidays is not responsible for damages, additional expenses, or any other losses due to cancellation, delay or other changes in transportation, accommodation or other services due to sickness, weather, strike, war, civil disturbances, acts or threats of terrorism, travel warnings or bans, termination or suspension of war risks or other carrier insurance, quarantine, acts of God or other force majeure causes beyond its control. All such losses must be borne by the client, and tour rates provide for arrangements only for the time stated. 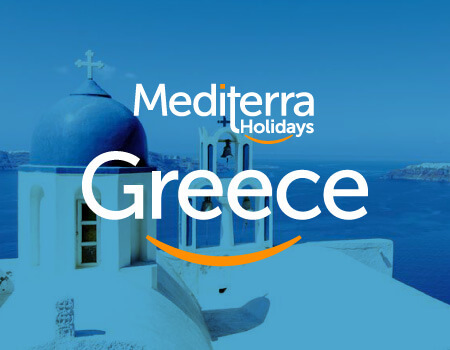 Mediterra Holidays is not responsible for delays, changes or cancellation costs due to incorrect, incomplete or expired client documents. In the event of cancellation, delay or rescheduling mandated by any of the aforesaid causes beyond Mediterra Holidays’ control, the client shall have the option of accepting in lieu of the original tour such rescheduled tour or other substituted tour(s) as may be offered, or else, receiving a refund of as much of such advance tour expenditures as Mediterra Holidays can recover on the client's behalf from carriers, third-party tour vendors, etc., but, Mediterra Holidays shall not have any obligation or liability to the client beyond the foregoing Mediterra Holidays reserves the right to make alterations to the tours itinerary and to substitute hotels, vehicles, ships, or activities if this is required. Mediterra Holidays reserves the right to cancel, delay, or reschedule any tour prior to departure, and, so long as this is not due to any of the aforesaid causes beyond our control, the client shall be entitled to a full refund of all monies paid to that point if he/she so requests, less any non-refundable deposits or uncollectible expenses incurred. In addition and without limitation, Mediterra Holidays is not responsible for any injury, loss, death, inconvenience, delay or damage to personal property in connection with the provision of any goods or services whether resulting from but not limited to acts of God or force majeure, illness, disease, acts of war, civil unrest, insurrection or revolt, animals, strikes or other labor activities, criminal or terrorist activities of any kind, overbooking or downgrading of services, food poisoning, mechanical or other failure of aircraft or other means of transportation or for failure of any transportation mechanism to arrive or depart on time. Client's Representations: The Client represents that neither he nor she nor anyone traveling with him or her does not make any misrepresentation or has any physical or other condition or disability that could create a hazard to himself or herself or other members of the tour. Mediterra Holidays reserves the right to decline to accept anyone on a trip. Mediterra Holidays reserves the right to remove the Client or anyone traveling with him or her from the trip, at his or her sole expense, anyone whose condition is such that he or she could create a hazard to himself or others, or otherwise impact the enjoyment of other passengers on the trip.